List Rules Vote up all the pop culture 'things' that defined 2015 and will forever be associated with the year. List includes only nationally relevant trending topics. 2015 was a year full of things that were definitely things. 2015 trends ran the gamut from hashtags to news stories that were on the lips of everyone with Internet access and an opinion. In 2015 we were exposed to viral mind bleepery like ~the dress~ and whatever insane thing Shia LaBeouf was doing on any given day, as well as concepts like gender fluidity and the much maligned man bun. 2015's trending topics were all over the place, because we as a people are all over the place. And as different as we all are, it’s interesting and hopefully inspiring that we’re able to compartmentalize thoughts about Taylor Swift’s #squad and farm to table eating within the confines of our mushy brains. To find out what everyone was talking about in 2015, check out this list of all the things that were a thing in 2015. If you were to look up trending topics 2015 you wouldn’t be able to find as exhaustive a list of the tweets, thoughts, and news items that everyone was discussing as you would on this list. One of the best things about all of the trending ideas 2015 is that they aren’t all highbrow or lowbrow. The things that were a thing are a wonderful mélange of high minded concepts and Justin Bieber singing at the VMAs, which is just as it should be. So have your voice heard by voting up the words, phrases, people, and concepts that were the most relevant in 2015. Then add all any other of the things that were a thing in 2015, that aren't already listed. 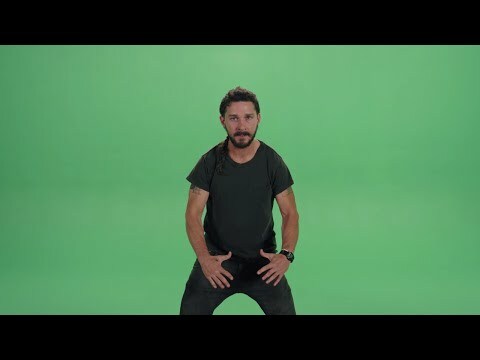 Shia LaBeouf Telling You to DO IT! List Rules: Vote up all the pop culture 'things' that defined 2015 and will forever be associated with the year. List includes only nationally relevant trending topics.